Lights, Camera… Versace… Prada…. Dolce Gabbana. Honey, I was born a fashionista but alas single girl with a mortgage and bills, bills, bills. Well, I’ve been come to known as the Frugalista utilizing my magical ability to transform my pennies into designer fashions. I can’t add or subtract without taking off my A-line stockings but I can tell you the price of every fabulous piece of clothing in my clothing from the $150 silk zebra Escada boxer jacket, $69 Leopard Roberto Cavellini shoes, $26 pink 9 West Jacket. Tragically hip? No baby I was born this way! So whenever I discover a new designer consignment store, I know it’s times to click my $40 sparkly red PHAT shoes 3 times and say “There’s no time like now to start shopping. “. 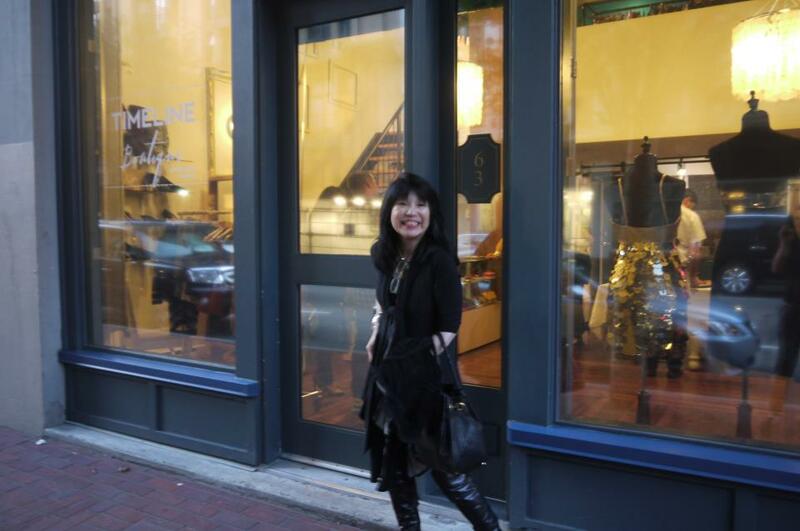 Hello Timeline Boutique are you my pocketbook’s BFF? Newly launched, Timeline Boutique is every fashionista’s dreams come true as this shop makes designer fashion affordable. 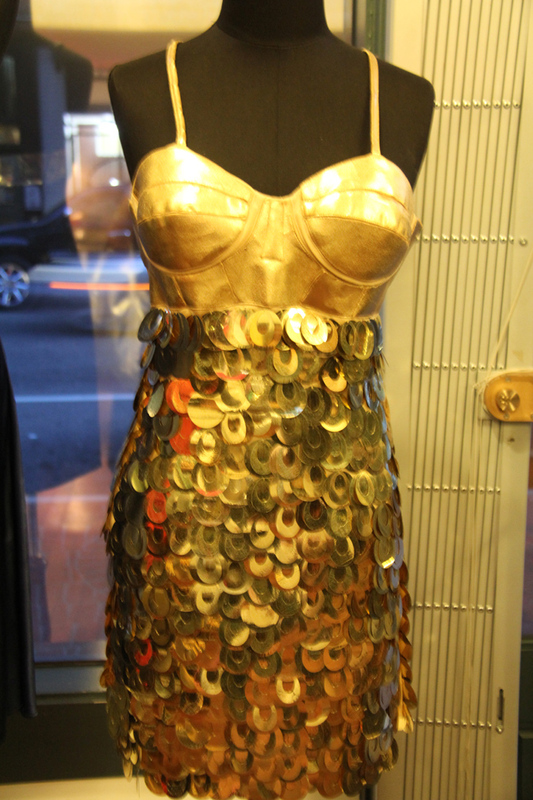 At the launch I fell head over heels over this metallic shimmery “knock you dead and stop drooling on me” Versace gold dress! Upon my perusal of the racks, there were Betsey Johnson jackets, Prada, Chanel for less than $160! Shaddup! No honey… and shoes, please get out of my way because I spied with my little eyes, long purple suede boots for $64. And delicate black sequined sandals for the mere price of $38 – can I have them in every colour? Timeline Boutique also carries men’s clothing. So hurry on down with your significant other girls, cuz I don’t know about you, but it’s always my dream to find a man who matches my wardrobe – ooh la la!